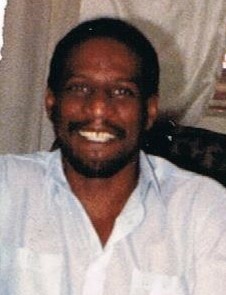 On January 18, 1951, George Talmadge Smith, Jr. was born to the proud parents Margaret Alice and George Talmadge (Tal) Sr. The oldest of four boys born to this union, he was a fat little baby with a big personality. As a young boy, he enjoyed sports, playing with his cousins, chasing and catching snakes, insects, tadpoles, birds and any animal that moved. Once during his bird hunting days, he and his brother Stevie shot a bird with a BB gun. Their compassionate Mom made them nurse the bird back to good health. He had an entrepreneur sense at a young age. Once he and Stevie caught insects and bugs, put them in a mason jar, set the jars upon a saw horse and charged 5 cents for kids to view them at “their zoo”. Georgie also enjoyed sports. He was a star player on the American Addition Terriers football team. He loved to play games with his family and was extremely competitive. There were many arguments over Four Square, being tagged (or not) in baseball games, and Tetherball. He was just a fun loving guy who enjoyed teasing others. He had a nickname for practically everyone. He was a very intelligent young man. After being promoted from Brentnell Elementary School to Champion Jr. High School, he was placed in a 7th grade gifted classroom. He spent the 8th and 9th grades at Linmoor Jr. High and graduated from Linden McKinley High School. Christina was born to the union of George and the late Sheila Smith. He adored his beautiful baby girl who was nicknamed “Tootsie Roll”. Even though Georgie did not follow the course of schooling that his all would have predicted, based on his high intellect, he said that he learned a lot during his lifetime. His family has many loving memories of George and lots of funny stories. He leaves behind: daughter, Christina (Renor) Jones; two grandsons, Christian and Camren; three brothers, Stephen, Keith (Frances), and Rodney (Angela); two uncles, Charles and Carl (Jean); nieces, and a host of cousins and friends. Offer Condolence for the family of George Talmadge Smith, Jr.
Online Obituary Donation in memory of George Talmadge Smith, Jr. In just a little while all of the pain and sorrow that we feel from the death of our love ones will cease and be replaced with joy because the former things have passed away. With caring thoughts. To Steve, Keith and Rodney – my sincere condolences in the loss of George. May the peace of God comfort you during this holiday season. Cathy (Collins) and Richard Thompson.